This guide contains Photo Scanning FAQ for our iOS app Pic Scanner Gold. Click the downward arrow next to any question to reveal its answer. And if you question isn’t answered in this knowledge base, please email us through the app. How is scanning photos with this app different from taking a photo of a photo with Camera app? Pic Scanner Gold automatically crops your scans. Also, if you scan multiple photos at a time, this app separates and saves them all. But if you take photos of photos with Camera app, you'll need to crop them manually. This is slow and laborious. How good is the scan quality? You can get sharp, high resolution scans if you have iPhone 6S, iPad Air 2 or newer devices, and follow these simple guidelines. Older devices e.g. iPhone 5, iPad 3, iPad Mini 2, iPad Air etc. only have five to eight megapixel cameras, so scan quality will be lower. However, you can still get good results by scanning 1-2 photos at a time. I need high resolution scans to make a photo book. What size prints can I make with your scans? If your iPhone or iPad has a 12 MP camera, you can get 8-10 MP scans (sufficient for making high quality 13.5inch x 9inch prints) by following these tips. With older devices (5-8 MP cameras), scans are good enough to make 9inch x 6 inch prints. My iPhone takes 12 MP photos, while this app only saves 5-10 MB scans. Why? Don't confuse MB (Megabyte, which measures file size) with MP (Megapixels, which defines image resolution)! Our app can give 8-10 MP (8-10m pixel) scans. On the other hand, iPhone X only has 2.75m and iPad Pro 12.9" 5.6m pixel screens! Furthermore, we optimize the scans such that you get the highest resolution images with the least file size (MB). This makes photos compact to store, upload or cloud services, and easy to share via email etc. Some of my scans are out of focus and some aren't bright. What to do? iPhone and iPad cameras auto-focus within a second of your pointing them at the photos. You can also manually focus by tapping the screen once. 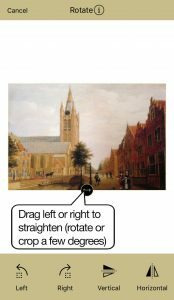 In addition, for consistently sharp, bright scans, please follow these easy, illustrated tips. Also, if you are using an old device (e.g. iPhone 5 or iPad Air), scan one photo at a time - not multiple. Why does Pic Scanner Gold want permission to use Camera and Photos? The app will scan photos with iPhone or iPad camera. Also, it needs to access Photos app when you save scans to it or import photos into Pic Scanner Gold. How to avoid glare and reflections while scanning photos? Ideally, scan photos in indirect sunlight. Electric light causes glare, shadows and reflections, and also makes it impossible to faithfully capture colors. Lighting doesn't have to be very bright; iPhone and iPad cameras do a good job of adjusting for lighting conditions. If you get glare while scanning by daylight, often moving a few inches can solve the problem. What's that blinking circle on the scanner screen? It's a leveling tool. When you scan photos with iPhone or iPad, you should hold the device parallel to the photos. Once the device is roughly level, 'OK' flashes in the circle. This is just a helper tool; if you don't need it or find it distracting, you can tun it off via Menu, Settings. After scanning 400-500 photos, why am I being asked to delete Originals? It's just a friendly reminder that you can free up a lot of space on your device by deleting unneeded photos from Originals screen. This alert is meant for users with old devices with less free space. If space is not a constraint for you, tap Menu > Settings & Info > Space Control, and turn the alerts off. In any case, it's a good idea to periodically look at Originals screen and delete what you don't need. I have trouble holding my iPad or iPhone steady. How to avoid camera shake in scanning? 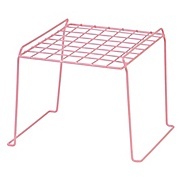 Placethe device on a locker shelf (See photo) or a similar stand. These cost a few dollars in stationeryor office supplies stores. Attach your headphones to the device, and use the Volume button on the headphone cable to operate the camera shutter. Pic Scanner Gold also support hands-free scanning with Bluetooth remote controls. In which format are the scans saved? Scan are saved as JPG images. The app automatically minimizes the file size (kB or MB) for maximum resolution images (MP). My old photo prints are curled up. How to keep them flat for scanning? Get a transparent acrylic sheet from a stationery store, and scan with photos placed under it. Placing the photos overnight under a pile of heavy book can also flatten them out. Can I scan film negatives with Pic Scanner Gold? No, and we haven't found any iOS apps that do it well. For high resolution negative scans, you must do contact scanning with very good back lighting. If you have a flatbed scanner, check whether it supports negative scanning. Other options are to buy a dedicated negative scanner or try your neighborhood photo printing and scanning shop. For more guidance, read this post. Where are my scans saved? In Pic Scanner Gold, Cropped photos are saved on Gallery screen; their un-cropped versions on Originals screen. Tap Menu button (top left), then select Gallery. Tap thumbnail to open photo. Tap Original button on bottom left of Cropped screen to see un-cropped versions of your scans. If your photo isn't in Gallery, you may crop it manually from Originals. I just scanned a photo, but it said 'Nothing saved'. Why? This happens if the photo isn't scanned in accordance with our auto-cropping tips. If this happens, either crop it manually from Originals screen, or read the cropping tips and scan again. Why is the cropping wrong, and photos split in random places? Pic Scanner Gold crops photos very accurately if you follow the 3-4 simple tips in this illustrated post. If you follow these but still get wrong results, please send us the corresponding uncropped image from Originals screen and we will tell you what to do differently. Some of my cropped photos are skewed and distorted. What am I doing wrong? Try holding the camera centered over the photos and level with them (i.e. parallel), not titled. Pic Scanner Gold automatically applies perspective correction, but if the slant is excessive, you may get distorted results. If I scan multiple photos, the app doesn't separately them properly. Why? Two possible reasons: Not enough gap (separation) between photos, or photos not lying fully within the scanner frame. Please also see this (Tip #4, in particular). Can I disable automatic cropping, or use originals for sharing? Auto-cropping is a big effort-saver, and it's VERY easy if you follow these tips. If you absolutely must use the originals, do this: Go to Originals screen > tap Select > tap the photos you want to use > Move > Move to Gallery. Photos will be transferred to Gallery, and you can use them. How to import pictures from Photos app for editing or putting in albums? Tap Import on Gallery screen > select the photos to be fetched, and tap Done. How to import photos from Google Photos, Dropbox etc. into Pic Scanner Gold? First, save them from their current location into iOS Photos app. Then tap Import on Gallery screen > select the photos to be fetched, and tap Done. I have scanned photos with another scanner or camera. Can Pic Scanner auto-crop them? No. Pic Scanner Gold only auto-crops photos that are scanned with the app. To auto-crop externally scanned photos, there are other online cropping tools available. I scanned a document, and it wasn't cropped well. Why? Pic Scanner Gold is meant for photos. Its editing tools and features (slideshows, greeting cards, albums, jpg output etc.) are optimized for photos. Please use a photo scanner app for photos and a document scanner apps for documents. Their features (multi-page documents, black/white balance, pdf output, OCR etc.) are optimized for documents. I have Pic Scanner Gold on iPhone as well as iPad. Can I see photos from one device on the other? By default, photos scanned with a device are only stored on that device. However, it's easy to get photos over from iPhone to iPad. Please see Exporting & Sharing Photos section. What does the Like button on View & Edit screen do? If you 'Like' a photo, it is automatically added to an album named Favorites. How to select multiple / all photos from Gallery or albums for export or deletion? Either tap Select button, or long-press a photo's thumbnail, then select more photos. With at least one photo selected, Select All button also appears. The app has so many editing tools. Exactly what does each of them do? For a complete guide to Pic Scanner Gold's editing tools, please click here. You can also get in-app help and demos by tapping the 'i' button next to tool name in top navigation bar. Some of my scans are sideways or upside down. How to make them upright? On Gallery or Album screen, tap thumbnail of photo to open it. In toolbar at the bottom, tap the rotate button to correct the photo’s orientation. Press Done to save. Rotate button turns the photo by 90 degrees. What about smaller rotations? Tap Edit > Rotate > place a fingertip on the little black circle under the photo and slowly drag it left or right > When done, tap Apply > Done. How to add descriptions or other text to photos? The best way to do it with Captions feature. Tap a thumbnail on Gallery or album screen to open a photo > Caption > input who, what, where information > Done. Now when you view the photo, your caption will float over the photo. Tap onec to hide it; tap again to re-display. You can also imprint these details when exporting the photo. To directly write on the photo, use Edit > Text function. One of the photos on Gallery screen is showing a blank (white) thumbnail. What to do? Tap on it. If you see a photo, tap Edit > Done, and return to Gallery screen. Thumbnail will now appear. How to transfer scanned photos to my computer? Files: Go to Gallery or album > Select > select one or more photos > Export > Choose between Exclude / Include captions > Popular export options are shown. Tap Show all > choose Files: Desktop to save scans to Mac desktop. Airdrop: This is another efficient way to transfer photos. For guidance, read this. iCloud: Save the scans to Photos app on your device. If you have iCloud enabled, they will also sync to Photos app on your computer. You will find them in Albums > Pic Scanner folder. USB cable: To save a huge number of photos to computer, use this method. I have scanned photos with iPhone. Can I also view them on my iPad? Yes. On iPhone, go to Gallery or album screen, and tap Select. Tap to select photos. Tap Export, and choose whether to Exclude or Include captions. From the list of options, select Photos. The photos will be saved in Photos app (Albums > Pic Scanner folder) on your iPhone. If iCloud Photo Library is enabled, they will also be visible on your other devices. Please refer to this article if you need further help. How to transfer photos to Dropbox or other cloud services? On Gallery or album screen, tap Select > tap to select one or more photos > tap Export > Choose whether to Exclude or Include captions > Popular export options are displayed. Tap Dropbox, or Show all to see more options e.g. Google Drive, Files (iCloud), OneDrive etc. In Dropbox, the photos will be saved in Apps/PicScanner folder. How to save photos in a thumb drive or external hard drive? First export them to your computer or a cloud service as explained earlier in these FAQs, then trasnfer them to thumb drive or external hard drive. I got an error on trying to export, or only a few photos were sent. Why? Try exporting smaller batches, especially if using an older iPhone/iPad or a slow internet connection. Suggested batch sizes: 50-60 to Photos, 30-40 to Dropbox and other cloud services, 5-6 to email, 30 to Facebook. If the difficulty persists, contact us. Is there a fee for exporting photos or saving them outside the app? 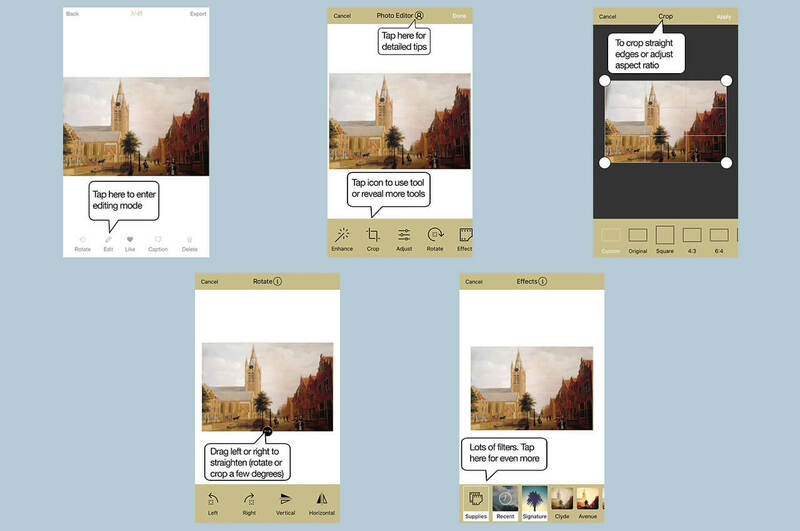 When you select photos and tap Export, you are asked to choose whether to Exclude or Include captions. Exclude allows free, unlimited exports. Include imprints any captions that you have input underneath the photos; this optional feature can be unlocked with a one-time purchase. If you have not added captions to photos or don't care to export them, select Exclude. How to share or export photos from Originals screen? On Originals screen, tap Select > choose photos > Move > Move to Gallery. Photos are saved in Gallery, and you can export them just like other photos. How can I export an entire album? 1) Transfer photos to computer or Dropbox as explained earlier in this section. After photos are saved, drag & drop them into your desired app, into a folder or album in that app. 2) As a Shareable album: To export an album of up to 24 photos, along with captions, go to Goodies > Shareable albums, and follow on-screen steps. These albums or slideshows can be exported to other apps, computers or devices for viewing and sharing. I can't find Facebook among the Export options. Where did it go? Facebook lets other apps (such as ours) post max. 30 photos at a time. Deselect some photos, and Facebook icon will reappear. If you really need to attach more than 30 photos in one post, first export them to your computer, then upload to Facebook. Trying to export photos; why are Twitter, Instagram, WhatsApp etc. greyed out? Twitter allows only one photos per post. If you select more, Twitter icons will be greyed out (disabled). If other apps' icons are disabled on the grey Popular Options screen, tap Show all, and post via the expanded options. Trying to export a bunch of photos to OneDrive, but only one photo is sent. Why? Follow these steps: Select photos > Export > tap Show all > Among the choices presented, you will find OneDrive and Copy to OneDrive. Choose OneDrive. All photos will be uploaded. If you choose Copy to OneDrive, only one will be saved. My iPhone/iPad has enough free space. Why must I back up photos on computer or in iCloud/Dropbox? Pic Scanner Gold automatically backs-up all app data to iCloud or iTunes (depending on your backup settings), but this backup is only usable for restoring as a new device or transfer to a new device. It is good practice to periodically export all scans to your computer or a cloud service, so that they always stay safe and accessible. I arranged photos in an album in a specific order. Why was it lost on saving to iCloud? Mac Photos app and iCloud saves photos chronologically, i.e. in the order in which they were scanned. If you rearranged photos in Pic Scanner Gold album in a different order, it won't be maintained after export. But here is an easy solution: Export the photos to iCloud > Create an album in iCloud Photos > Move the photos into it > To rearrange: Press the thumbnail of the photo to be moved, and drag it to the place you want. 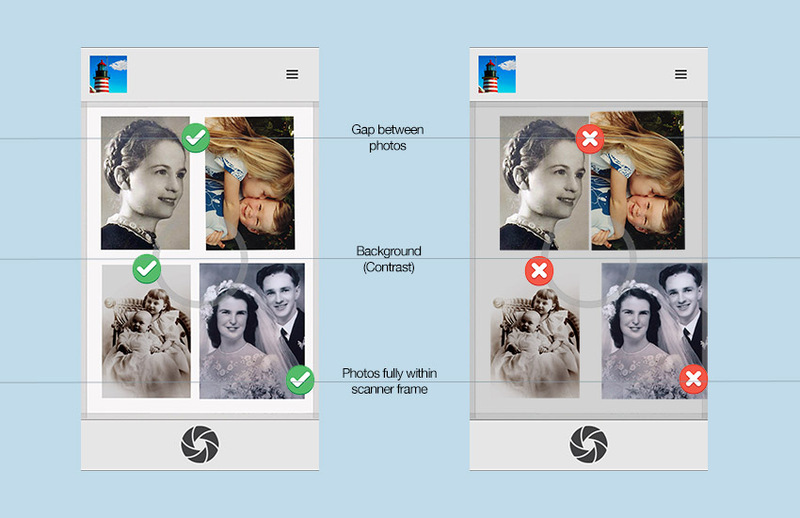 How to upload photos to Google Photos, Ancestry, Shutterfly or Photobucket? For Google Photos: From Pic Scanner Gold export options, select Google Drive > Google Photos folder. Ancestry, Shutterfly and Photobucket do not allow direct exports from other apps. Export photos from Pic Scanner Gold to your computer as explained earlier in this section, then upload to these apps or websites as you normally would. How to create albums and save photos in them? Method 1. To create new album: Gallery screen: Tap Albums, Create new album. Type name of album, and press Save. This will create an empty album. To add photos, tap this album and Add photos. Select Cropped and choose photos. Tap Done. Photos will be added. Method 2: On Gallery screen, tap photos to be put in the album. They’ll get tick marked. Add > Add to New Album. In pop-up box, type name of album. Save. Album will be created. How to add more photos to an existing album? On Gallery screen, tap Select. Select photos. Tap Add, Add to existing album. Tap on the desired album. I have scanned hundreds of photos. How to see which photos I have already added to an album? In Gallery, select all the photos you want added to the album. Tap Albums, Add to existing. Select album. This will add only photos that aren’t already in the album, without duplicating those you had added earlier. How to rename an album? On Albums screen (The one that shows covers and names of all albums), tap Edit > tap cover of the album > type in the new name > Save. I have put all scanned photos in Albums. Can I now delete them from Gallery? NO!! Gallery is the central library of the app, and any photos deleted from there will be permanently removed from the app as well as all albums. Delete photos from Gallery ONLY if you have already exported and archived them elsewhere. As iCloud, Dropbox, computer, etc. Go to Albums screen (The one that shows album covers and and names of all albums). Swipe left on the album. Tap Delete. Note that deleting an album (or photos from an album) won't remove those photos from Gallery. But deleting photos from Gallery will delete them from all albums. How to export an album to iCloud, Dropbox etc.? 1) Transfer photos to computer or Dropbox as explained elsewhere in these Frequently Asked Questions (FAQs). After saving is complete, drag & drop the photos into your desired app, into a folder or album in that app. 2) As a Shareable album: To share an album of up to 24 photos, along with captions, go to Goodies. Tap Shareable albums, and follow on-screen steps. You can export ehese albums or slideshows to other apps, computers or devices for viewing and sharing. Mac Photos app and iCloud save photos chronologically, i.e. in the order in which you scanned them. If you rearrange photos in Pic Scanner Gold album in a different order, it won't be maintained after export. But here is an easy solution: Export the photos to iCloud. Create an album in iCloud Photos. Move the photos into it. To rearrange: Press the thumbnail of the photo to be moved, and drag it to the place you want. 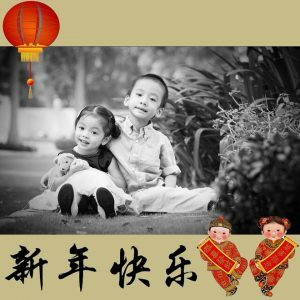 How to make photos from Gallery or an album into a photo book? Save photos to your computer or any cloud service, then upload them to your preferred photo book maker’s website. 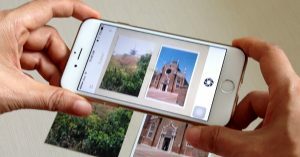 If you have the photo book printer's app on your iPhone or iPad, you may export photos from Pic Scanner Gold to Photos app, then upload into the photo book app. Note: There are two slideshows in Pic Scanner Gold: ShowTime and ViewCaster. How to play/mute music during the slideshow? Tap the screen while slideshow is playing. A bar appears. Tap the loudspeaker button to toggle sound on/off. How to create a slideshow with some scanned and some photos on iPhone or computer? Import photos from Photos app into Pic Scanner Gold. Create an album containing scanned as well as imported photos. Tap 'ShowTime'. Pic Scanner Gold costs US$4.99, or your currency equivalent, as determined by the App Store. This one-time price covers UNLIMITED use of all standard features of the app, viz. scanning, auto-cropping, editing tools, albums, captions, shareable slideshows, more than 100 greeting cards, and exporting/sharing photos. There is a nominal extra charge for some optional features, e.g. exporting captions along with photos, and our premium pack of 80 greeting cards. How many scans am I allowed, and for how long can I use the app? Pic Scanner Gold allows UNLIMITED scans and unlimited use of almost all its features. There is no time limit. Will I be charged a monthly subscription fee? No, US$4.99 is a one-time charge for unlimited scanning, auto-cropping, albums, greeting cards, exports and most other features. If we add any subscription services, these will be optional and clearly disclosed. I see you also have a cheaper app 'Pic Scanner'. What is the difference? 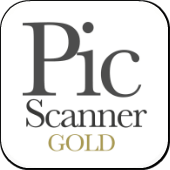 Pic Scanner is our basic app; Pic Scanner Gold is more advanced with higher resolution scans and many more features. Pic Scanner is meant for users with older phones e.g. iPhone 4s or 5, or iPad 3, Mini 2 etc. I already bought Pic Scanner. Can I upgrade to Pic Scanner Gold at a discount? Yes. Sign in to the App Store on your iPhone or iPad with the same Apple ID with which you bought Pic Scanner, then tap this link." If the App Store recognizes your old purchase, it will show you a discounted price for the app bundle. I have Pic Scanner. If I buy Pic Scanner Gold, can I transfer photos to the new app? Yes. Download Pic Scanner Gold, then in Pic Scanner, tap Menu > Info & Settings > Migrate > all photos, albums and captions will be compressed > When sharing options are displayed, scroll to "Open in Pic Scanner Gold". Everything will be transferred over in less than a minute. Check that everything is there in the new app, then you may delete the old app to free up space on your device. I bought a new iPhone/iPad. How to transfer Pic Scanner Gold and photos from the old device? It’s easy. See illustrated, step-by-step procedure here. I deleted Pic Scanner Gold. Do I have to pay again to download it? No. Log in to the App Store on your iPhone/iPad, then tap here. When Pic Scanner Gold page opens, tap the Download button (Cloud with downward arrow). The download will begin without any charge to your account. IF instead of the download button you see Get, Buy or $4.99 buttons, don't proceed - contact us instead. Also note that any photos that were there in your Gallery when you deleted Pic Scanner won't be recovered. I tried to buy Export Captions feature, why does it say “In-app purchases not allowed”? If I want the app on iPhone as well as iPad, do I have to pay again? No! If both devices use the same Apple ID, you pay only once. If you bought the app on iPhone and now want to install on iPad, tap App Store icon on iPad. Search for Pic Scanner Gold, then click download button (Cloud with downward arrow). Pic Scanner Gold will be installed on iPad at no charge. Does Pic Scanner Gold support family sharing? Yes. To learn how to set up family sharing, please refer to this post. I have the app on iPhone. How to also get it on iPad without being charged again? On iPad, launch App Store app. Ensure that you are logged in with the same Apple ID with which you bought the app on iPhone > on Today screen, tap your profile photo (near top right) > tap Purchased > Not on this iPad > look for Pic Scanner Gold, and tap the download button (cloud with downward arrow). Alternatively, tap here on iPad (or search for Pic Scanner Gold in the App Store). If you are signed in with the same Apple ID with which you bought the app on iPhone, you will also find the download button (cloud with downward arrow) here. By default, photos scanned with each device are saved only on that device. It's easy to get photos one device to another; please see Exporting & Sharing Photos section above. I purchased Export Captions and Premium Greeting Cards features on my iPhone. I then downloaded the app on iPad (for free), but it's asking me to purchase Export Captions and greeting cards again. Why? Please open Pic Scanner Gold on iPad > tap Menu > Restore Purchase. These features will be unlocked. Can I make a shareable album with more than 24 photos? Albums with more photos, designs and features are being developed. These will probably be available soon. Until then, you may export scans to Photos app on your iPhone / iPad, then use any other slideshow app e.g. Qik to create larger slideshows. 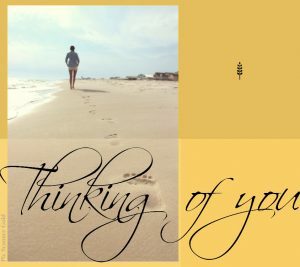 How to customize and personalize greeting cards? Will you add more designs? You can tweak the greeting cards' colors with the Recolor slider. Furthermore, you can add a personal message, as follows. Create card. Tap Share. Select an option, e.g. Message, Email or Facebook. Add personal greeting in the message box, email body or post. Also, we will add more designs periodically, keeping in view upcoming festivals and observances. Wrong language! All the buttons are in a foreign language. The app is frozen. Nothing happens when I click any button. Double click Home button on your device. Exit Pic Scanner Gold by sliding its tile out of the multi-tasking tray. Also, you may reboot the device. But whatever you do, DON'T delete and reinstall the app, because this will delete all your scans and albums permanently. I am out of space on my iPhone/iPad. What to do? Free up space by deleting unneeded original files. Tap Gallery, Originals, and delete the original photos you no longer need. Finally, for more tips, click here. I deleted Pic Scanner Gold. Is there a way to recover the photos? If you have being regularly backing up / exporting your scans to iCloud, computer, Dropbox etc., you could import those back into Pic Scanner Gold. Otherwise, see if you have a recent backup of your device in iTunes or iCloud. Procedure for restoring photos is similar to this. It could be used to restore your iPhone/iPad as a new device, BUT this will reinstall ALL apps, and restore their data to the time of the last backup. Please contact us for advice. We update this Help & Troubleshooting Guide (FAQ document) regularly to reflect changes in Pic Scanner Gold app and iOS. If you find any answer outdated or confusing, find any broken links, please do let us know. Photo Scanning FAQ for our old app Pic Scanner can be found here. If you have Pic Scanner on iPhone 6S / iPad Air 2 or a newer device, please consider upgrading to our advanced app Pic Scanner Gold. It gives higher resolution scans, and has many great features for enhancing, enjoying and sharing photos. Buy this bundle to upgrade at a discount. Users of Pic Scanner can find printable 5-Minute Guide in several languages here.